A house is not a home without a dog...am I right? From archival-quality gallery-wrapped canvases and hand-crafted artisan wood to traditional framed pieces and exquisitely brilliant framed acrylics, signature wall art is how most clients choose to enjoy their images following their session--where they can see them every day! 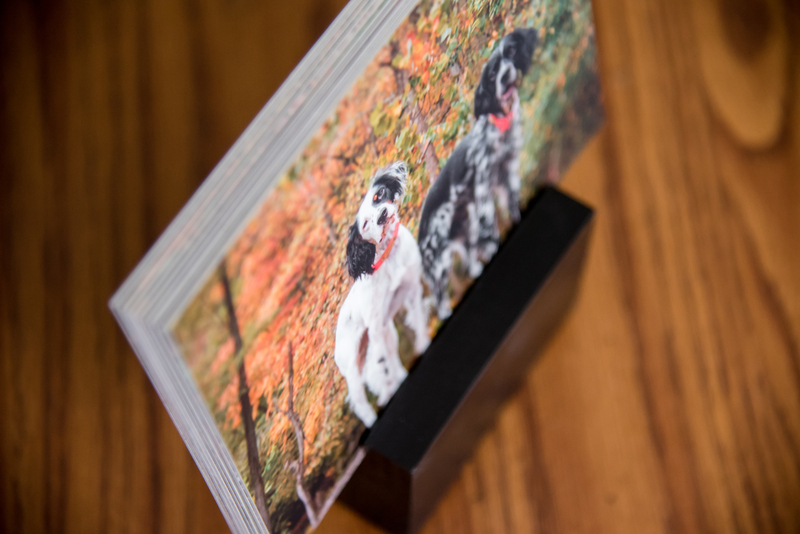 Bark & Gold Photography offers a variety of finishes and styles, starting at $650. Pull together several of those must-have images into a statement-making wall art grouping guaranteed to melt your heart every time you pass by them! 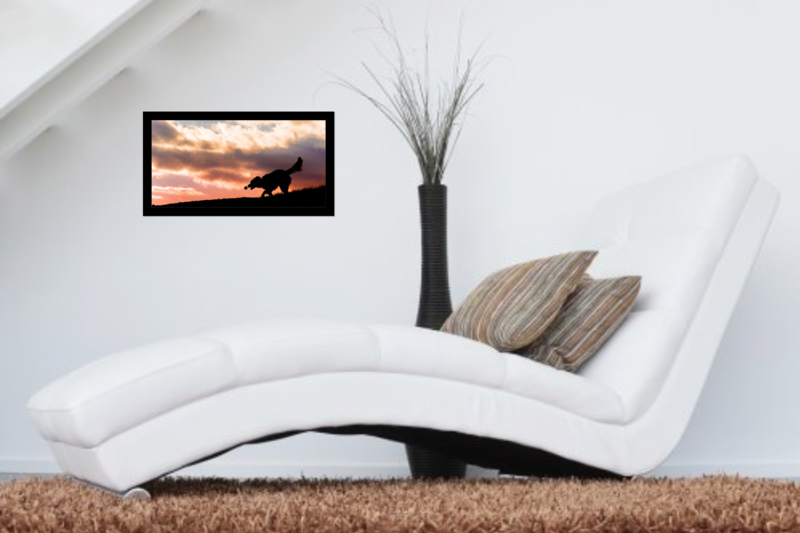 Using a special program at your reveal and ordering appointment, I can create and show you a variety of wall art groupings in different sizes, layouts, and finishes to make choosing your wall art simple and fun. I also offer several pre-designed wall groupings to make your decision even easier. Pricing varies. There's no getting limited with specific packages here! Bark & Gold Photography offers the option to create your own collection to give you the opportunity to apply your product credit toward exactly what you want. Simply choose any 20" or larger signature wall art piece or a 12x12 fine art album along with any two additional products to get started. Even better: you'll receive a 20% savings on your total investment when you create your own collection. New for 2019 are these popular heirloom folio boxes, the most beautiful way to preserve your prints and a stunning alternative to fine art albums. Handcrafted from eco-friendly and sustainable natural bamboo, these folio boxes hold 10 or 20 matted 5x7 prints printed on professional deep matte paper. The rustic touches in its gold hinges and swing clasp that keep your memories protected pair with a beautiful ribbon that allows for easy lift-out print access. 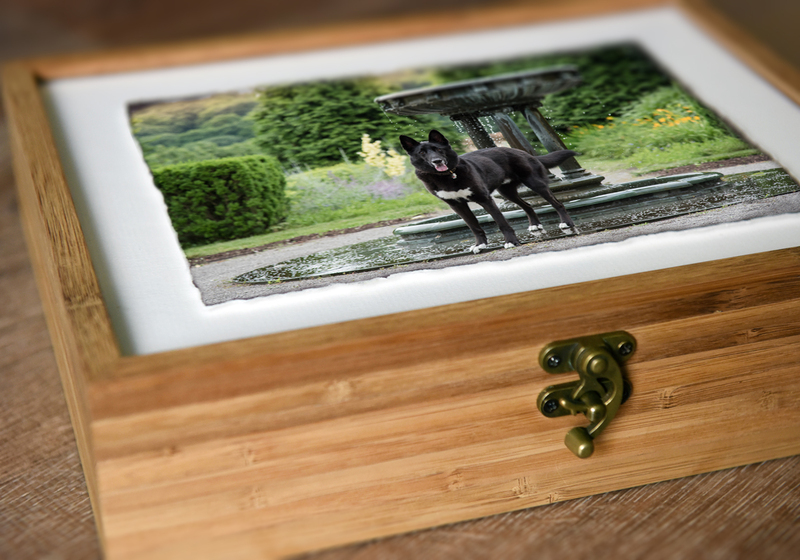 Its outer lid is absolutely eye-catching with a torn-edge fine art print that appears to float; the inside of the lid highlights another image of your choice while the base of the box features Bark & Gold Photography studio branding. Heirloom folio boxes start at $999. Pet parents who simply can't choose just a few love fine art albums. These are Bark & Gold Photography's top of the line albums, unmatched in beauty and quality. They are truly a work of art! 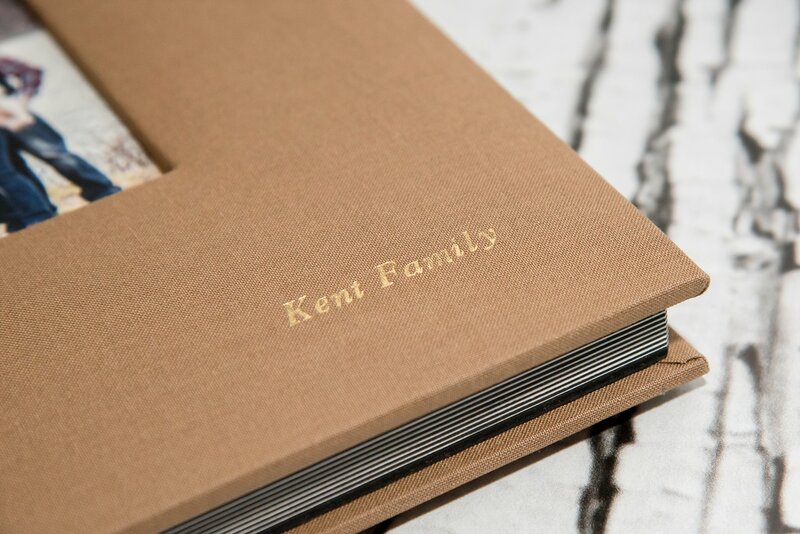 Choose from a luxury linen cover with a cut-out cameo highlighting a photo of your choice (10x10) or a stunning acrylic photo cover with luxury linen spine and back (12x12). Each album is custom designed with archival durability and presented in a black heirloom album box. All session images can be included. Fine art albums start at $900. Album blocks (shown), acrylic blocks, and other boutique add-ons are perfect for the pet parent who may not have a lot of wall space for larger pieces or are interested in more unique products. Boutique add-on products, including metal ornaments, mini canvases, digital files, and gift prints, are only offered with the purchase of signature wall art, fine art album, heirloom folio box, or any collection. They can also be used to create your own collection. Boutique add-ons start at $55. To schedule your session or learn more about Bark & Gold Photography, contact me at jessica@barkandgoldphotography.com or call 724-913-BARK (2275).